A candy buffet is just the thing to add even more excitement to your baby shower. A candy buffet at your baby shower can bring your celebration to a whole new level. A candy buffet stocked with chocolates, lollipops, and sweets is sure to be a big hit, and there is sure to be something that every guest will enjoy. Candy buffets are becoming increasingly popular and they work really well for baby showers as well as other events. 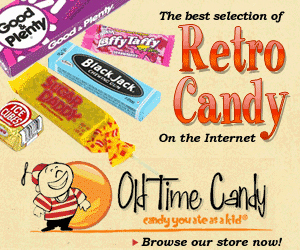 The Sweet River Candy Company provides a wide variety of candy options for any candy buffet. These candies can all be ordered in specific colors as well. 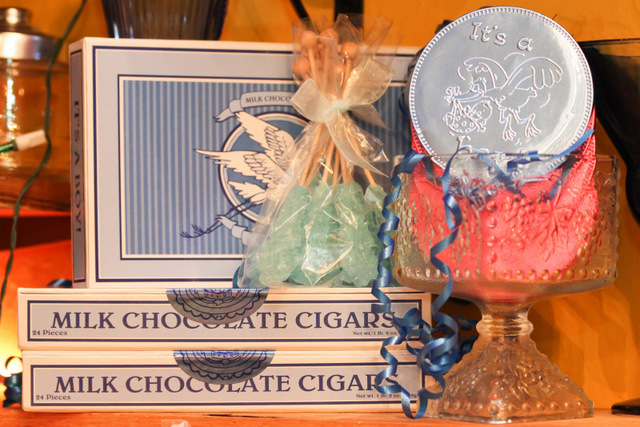 For baby showers you can order any of these candies in blue or pink! 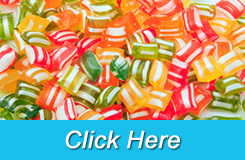 In addition to the commonly used candies the Sweet River Candy Company can also provide candies specifically designed with the baby shower theme in mind. These can include blue or pink swirled baby feet lollipops, blue or pink pacifier candies, blue or pink milk chocolate medallions, and even blue or pink foil-wrapped milk chocolate cigars. There are so many different types of candies that you can choose from to keep in line with the baby shower theme. A baby shower candy buffet is an absolute treat for all your guests and will help take your celebration to a whole new level. The Sweet River Candy Company would love to help you set up your dream candy buffet for your baby shower or any other event. We can send you the candy and all displays and you can set up the buffet yourself, or we can take care of everything and come set it up for you. No matter the occasion take it to the next level with a candy buffet courtesy of the Sweet River Candy Company.